Bacillus thuringiensis (Bt) is a soil-dwelling bacterium of great interest for agronomical research because of its use as biological pesticide. There are some limitations regarding the subspecies classification. Phenotyping and genotyping studies are important to ascertain its variability. 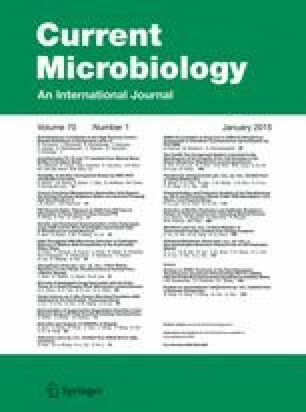 The diversity of 40 environmental strains, isolated from different regions in Mexico, was analyzed by ERIC-PCR and the ability of biofilm formation. Thirty-nine different fingerprinting patterns revealed enough data to discriminate among the 40 strains. A total of 24 polymorphic fragments with sizes between 139 and 1,468 bp were amplified. Almost all (95 %) strains showed biofilm formation after 96 h of incubation. At 96 h of incubation the biofilm-forming strains from the CINVESTAV collection showed a more heterogeneous ability as biofilms producers. Results showed a large intra-species genomic variability in Bt. However, some strains could be correlated as they were found within clusters depending on the location of isolation. Two Grants from Dirección General de Asuntos Académicos, Universidad Nacional Autónoma de México (DGAPA-UNAM) through its Programa PAPIIT (No. IN208410-3 and IN214414) and also one of CONACYT (No. 117943 M) supported this study. Dr. Karina García-Gutiérrez is the recipient of a fellowship from the Programa Posdoctoral DGAPA-UNAM. Dafne Gutiérrez received a fellowship from CONACYT, Mexico. We thank the excellent technical support from Jorge Sanchez, Liliana Hernández and Regina Basurto. These data were partially presented at the XI Meeting on Women’s Participation in Science, May 15, 2014, held in León, GTO. Mexico. The authors also thank Ingrid Mascher and Dr. José Luis Pérez-García for editorial assistance and for reviewing the proper usage of English in this manuscript.